Gallowsroad: Jumpin' Jesus! Er, Standing Jesus! Jumpin' Jesus! 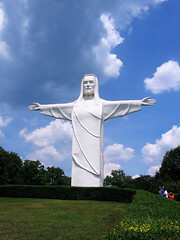 Er, Standing Jesus! Yummy Fundie goodness. Click photo to read all about it.